The impressive Museo de Arte Decorativo in Recoleta is showcasing a special exhibit until the 30th of September. The exhibition, “Mareviglia dalle Marche”, presents Italian art from the Marche region in Italy where a lot of influential art was created. The paintings displayed depict religious Italian iconography from the late Gothic period to nineteenth century Neo-Classicism. 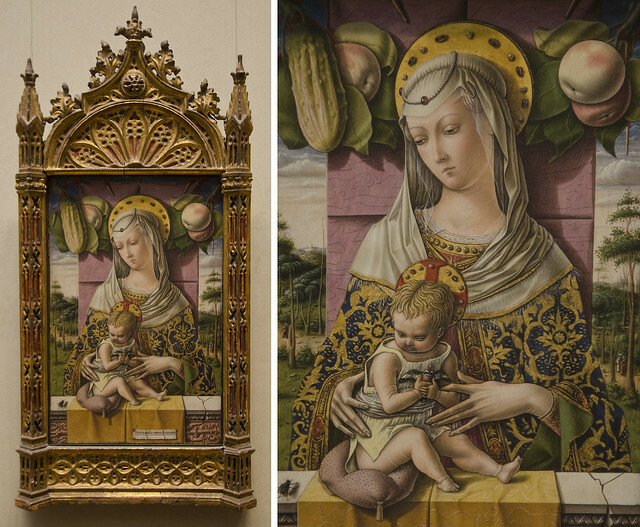 Tiziano, Rafael and Crivelli are some of the artists who have been included in this stunning exhibition that was curated by UBA professor architect Angel Navarro. The museum, which has a great architectural beauty, is also well worth visiting for its permanent collection and is showcasing a motorcycle exhibit. Additionally, there is a lovely cafe, Croque Madame, to stop by for cakes afterwards. Tickets for the Mareviglia dalle Marche exhibit cost 30 pesos. On Tuesday’s it is free. Opening hours during July are midday to 6.45pm. Av.del Libertador 1902, Recoleta. 4801-8248. This entry was posted in Art and tagged Agenda, argentina, buenos aires,, exhibits, italian art, July 2012, museo de arte decorativo, recoleta by Fierro Hotel Staff. Bookmark the permalink.